FAST-TRACK LOCAL TEAMWORK - SEE - SHOW - SELL - BUILD - DELIVER . We are The Summerland Group. Summerland is an engineering company. Design and manufacture superior lift mechanisms. Use those lift mechanisms in our computer furniture (and in other products). 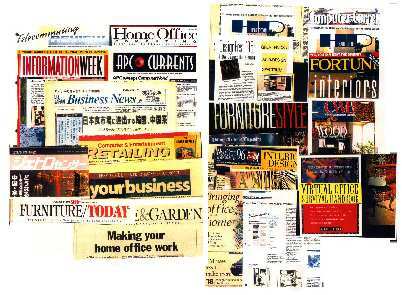 was awarded International Grand Prize at NeoCon in 1996. It was a FORTUNE Product To Watch. It was also featured on the NBC TODAY Show. (and in a lot of other places). 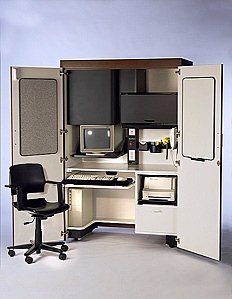 It is hailed as the highest quality, best-engineered computer armoire in the world. OFFICE and SCHOOL FURNITURE DEALERS & MANUFACTURERS? The Learning Station is exactly what your customers need. We don't think so, we KNOW so. Because we do our homework. SO WHAT'S SO SPECIAL ABOUT The Learning Station ? Click here, and we'll show you. It is the one product which does exactly what your customers need it to do. It requires less of that valuable floor space. It becomes a height-adjustable computer workstation. It can work as a stand-alone. It's also designed to work in a networked classroom environment. It can be used with a full size PC. It can be used with a laptop. It also compliments these and many other manufacturers existing product lines. The Learning Station automatically adjusts to fit any size adult. It adjusts to fit growing kids from 5th grade through college. from Kindergarten through 4th grade. from kindergarten through college, is a very large market. Some applications require desks with below-desk monitor placement. which also permits adjustment of monitor viewing angle. whose core converts to a multitude of other products. For example, the desk converts to a height adjustable lectern. Did we mention it also seats two for dinner?. and pizza comes in a big box. There's no limit to design options. and expand utility of the sliding desktop. 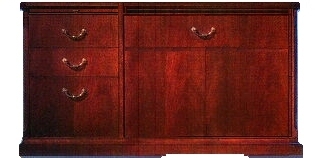 And file cabinet pedestals will extend utility and enhance decor. for media equipped conference tables. Which is actually part of The Learning Station's core design. AND WHO ARE THE CUSTOMERS FOR The Learning Station? It can be sold to schools. It can be sold to universities. It can be sold to telecommuting directors. It can be sold to the military. It can be sold for dorm use. It can be sold for alternative officing. It can be sold for home use. It can be sold for hospitality use. It can be sold for retail use. It can be sold for government use. It can be sold for training purposes. It can be sold for corporate use. It opens additional marketing avenues. It reaches beyond the local market to offer global appeal. The compact size makes delivery easy. It fits in even tiny European elevators. It neatly solves the customer's problem. It is within the customer's budget. We have other products of course. runs circles around Herman Miller's Puzzle. OK, WELL.... THAT'S PRETTY INTERESTING, ALL RIGHT. Summerland plans to sell even MORE of its products. (These and the ones that follow). permits us to get our products to the customer quickly and reliably. a local factory resource for your matching furniture/fixtures. that dovetail with The Learning Station. Once again, we're the only ones who have them. We're specialists in common-sense engineering and innovative product design. Summerland focuses on big picture solutions. Determine which computerized manufacturer in your area holds the very best reputation for quality, reliability, and stability. then ask them to apply to join our team of Licensed Local Manufacturers. and stands behind its' products? Tell them which of your customers will be particularly interested (and why). to provide the solution your customer needs. AND WHAT WILL THIS ACCOMPLISH FOR ME AS A DEALER or a MANUFACTURER? how to make sales AND stock soar right off the charts. Sorry, no little kid shirts yet. Yes, your customers certainly do need that. There's a lot more we can show you.